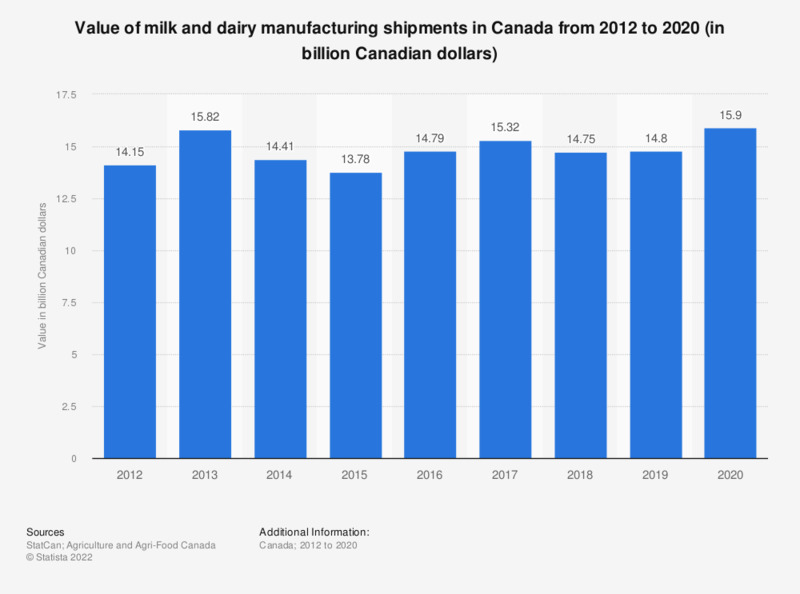 This statistic shows the value of milk and dairy manufacturing shipments in Canada from 2012 to 2017. In 2017, milk and dairy manufacturing shipments were valued at approximately 14.3 billion Canadian dollars. Figure from 2012 is taken from a previous report.